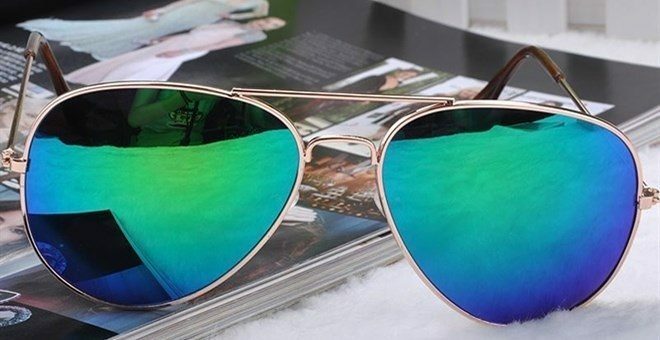 Mirrored Aviator Sunglasses UV400 - 10 Choices Only $3.95! You are here: Home / Great Deals / Mirrored Aviator Sunglasses UV400 – 10 Choices Only $3.95! Mirrored Aviator Sunglasses UV400 – 10 Choices Only $3.95! These Aviator style Sunglasses for Men and Women with a UV 400 will be your spring fashion statement! The Mirrored Aviator Sunglasses UV400 – 10 Choices Only $3.95 are such a great deal, you’ll want to get more than one pair!